23 January 2015 – United Nations Secretary-General Ban Ki-moon today welcomed the signing of a peace deal between opposition factions in South Sudan, calling for the accord’s immediate implementation, as well as the commitment of the country’s leaders to follow through with ongoing negotiations towards a final agreement to end the year-long conflict. In a statement issued by his spokesperson in New York, the Secretary-General welcomed the Agreement on the Reunification of the Sudan People’s Liberation Movement (SPLM) signed on 21 January by the South Sudanese parties. 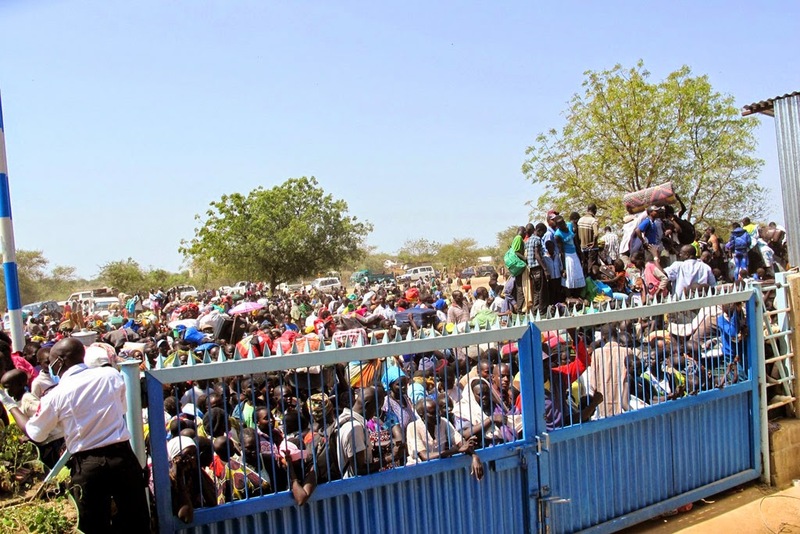 “He calls for its immediate implementation, particularly the recommitment of President Salva Kiir and Dr. Riek Machar to respect the cessation of hostilities agreement, and encourages the signatories to resolve the leadership issues of the SPLM,” said the statement. Political in-fighting between President Kiir and Mr. Machar, his former deputy, started in mid-December 2013 and subsequently turned into a full-fledged conflict that has sent nearly 100,000 civilians fleeing to UNMISS bases around the country. The crisis has uprooted an estimated 1.9 million people and placed more than 7 million at risk of hunger and disease. Though fighting has continued, an initial ceasefire was agreed on 23 January 2014 between the two sides in Addis Ababa, Ethiopia. That deal was reaffirmed in early May. According to media reports, under the deal signed yesterday, the parties agreed to ‘reunify and reconcile’ the three factions within the SPLM. In his statement, the UN chief reminded the parties that ‘time is running out,’ and urges them to use the opportunity of the Intergovernmental Authority on Development (IGAD) Summit, set for later this year, to reach a final agreement on the end to the conflict, including a power-sharing formula and measures to address its root causes and ensure accountability.